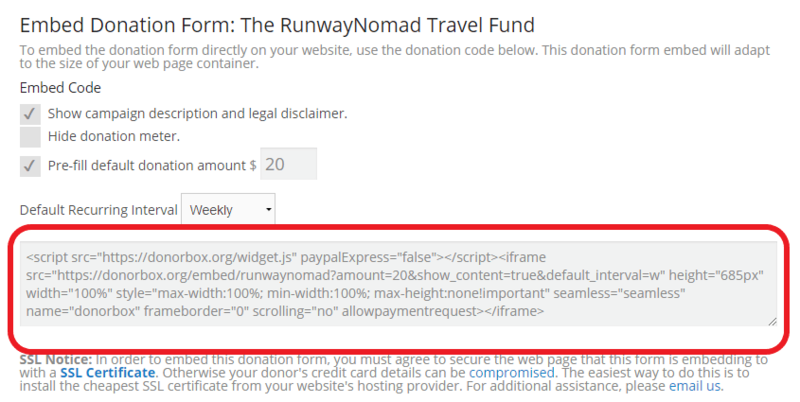 Because we are using an embed code instead of a preset donation module, you will need to make sure your Joomla website allows iframe codes before you copy and paste your donation form embed code, as they are prohibited by default. a. 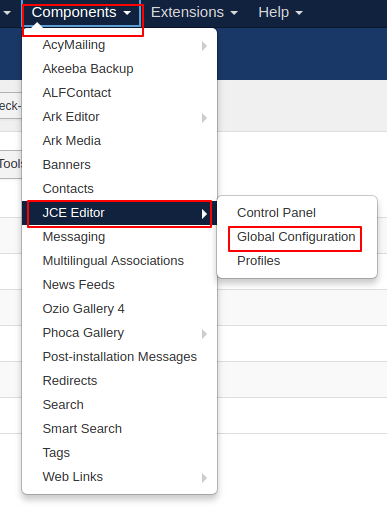 On your Joomla administrator page, start by clicking on the “Extensions” tab, then the “Plugins” button. b. 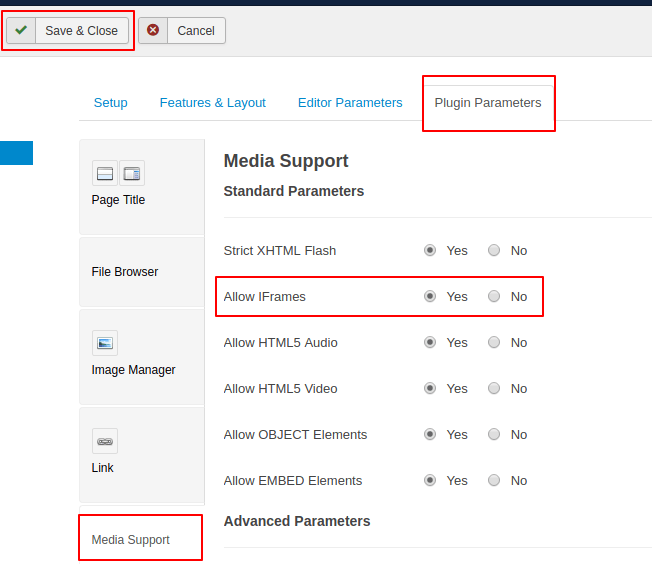 Search for the “Editor – TinyMCE” plugin using the search bar and click on it. c. Scroll down to find the “Prohibited Elements” field and remove “script” and “iframe” from that list. Then click the “Save” button at the top of the page. Now that you have allowed iframe codes on your website, go to your Donorbox dashboard and find the campaign you wish to embed on your site. Click the “Embed Form” link. 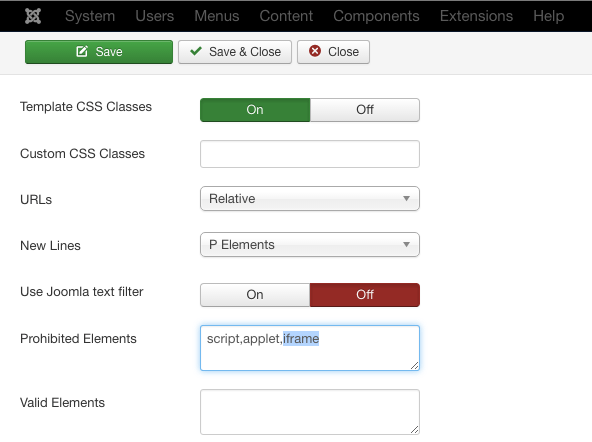 Copy and paste the embed code for your form. 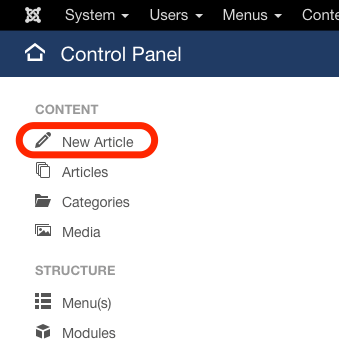 Go back to your Joomla administrator page, and create a new article by clicking on the “New Article” button at the top of the left-hand sidebar. Name your article and scroll down below the content field to press the “Toggle Editor” button on the bottom right. 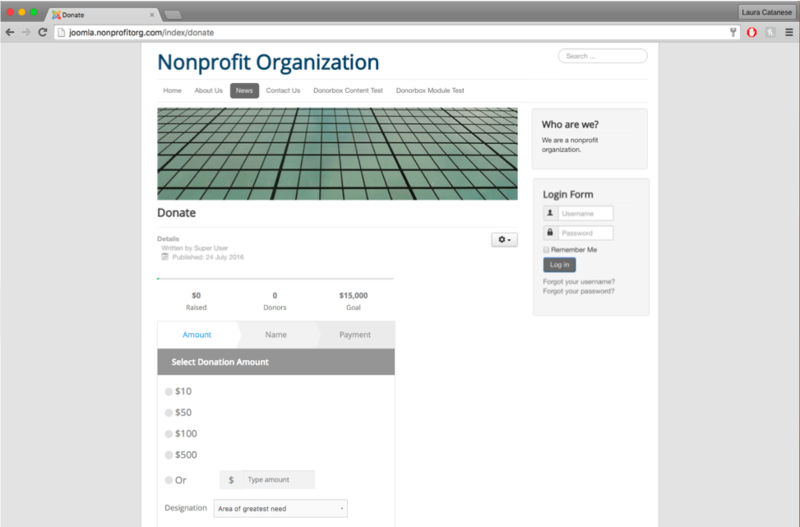 Once you’ve clicked the toggle button, paste your donation form embed code into the “Content” field. Click the “Save” button and your embed code will now show up as your donation form on your editor as well as on your website!